Eiman Jahangir MD, MPH,FACC is a cardiologist with extensive training and experience in research investigation and clinical patient care. He has a special interest in hypertension, peripheral vascular disease, and cardiac oncology. He has an appointment in the John Ochsner Heart and Vascular Institute and is a Senior Lecturer of Cardiology and Medicine in the Ochsner Clinical School, University of Queensland School of Medicine. He has been a Consultative Cardiologist at Ochsner Medical Center since 2013. Dr. Jahangir is a native of Nashville, TN and obtained a Bachelors of Arts in Religious Studies at the George Washington University, Washington, DC as a University Honors Program Scholar. He received his medical degree at the University of Tennessee, Memphis, TN. Dr. Jahangir completed Internal Medicine Residency at Boston University Medical Center, Boston, MA. He completed his Fellowship in Cardiovascular Medicine at Vanderbilt University, Nashville, TN. He then completed advanced training in epidemiologic research while obtaining a Master’s of Public Health at Vanderbilt University. Dr. Jahangir served as a National Institute of Health (NIH) Fogarty International Clinical Research Fellow (FICR-F) in Buenos Aires, Argentina studying the prevalence of hypertension in the Southern Cone (Argentina, Chile, and Uruguay). Dr. Jahangir has won multiple awards throughout his training. He was inducted into the Imhotep Society at the University of Tennessee for excellence in leadership and contribution to the University. 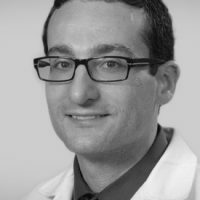 He has won multiple research fellowships including an NIH summer research fellowship while at the University of Tennessee, a Clinical Research Training Resident Scholar (CREST) award while at Boston University, and the Fogarty International Clinical Research Fellow (FICR-F) award while at Vanderbilt University. He also received the Rhodes Award for Scholarly Activity in Cardiovascular Medicine in 2012 at Vanderbilt University.